Getting a great copier lease doesn’t have to be scary. There are a lot of bad copier leasing companies out there, but not all of them have your best interest at heart. Luckily, our staff at your local Albuquerque Copier store are here to help you get exactly what you need for your businesses office solutions. We make our leases fair at Albuquerque Copier. We have been through it all and know how difficult the process of finding a great lease can be. We want to change all of that and make is easier for your business to get exactly what it needs. 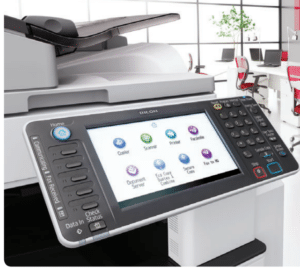 We carry the best printer and copier brands anywhere to make sure that you have a variety of options when it comes to choosing what you need. We don’t think you need to have a law degree to make sure you aren’t getting ripped off on your copier lease. We take a customer service approach that begins with helping you identify what your business needs from its printer and copier. By working together we can get you a great copier lease in Albuquerque that won’t come back to bite you in the end. Reach out of us at Albuquerque Copier if you want to get a great lease on the newest office machines that you need to grow your business.